Stylish, smart and incredibly flexible, the Renault Kangoo van has plenty to offer businesses that are in the market for a solid and reliable partner. Its compact dimensions make navigating your way through busy city streets a breeze, while the impressive loadspace and range of high performance engines available ensure the Kangoo is powerful yet affordable to run. 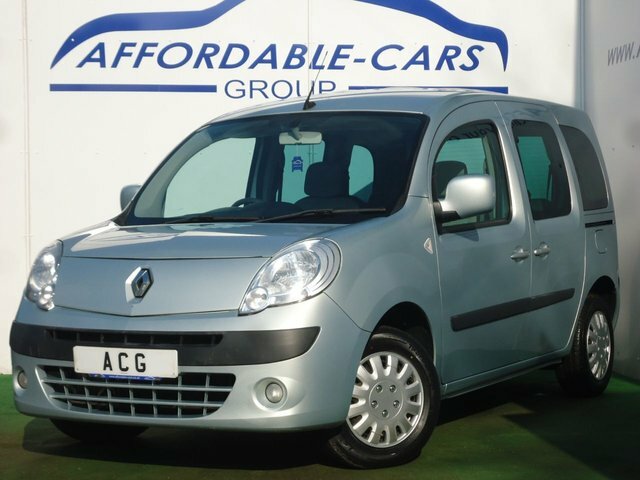 Find out more by coming to Affordable Cars (Yorkshire) Ltd today and browsing our range of used Renault Kangoo vans for sale in York. A member of the team will be on hand to provide a warm welcome and ensure you have all the help you require when it comes to sourcing an affordable, quality commercial vehicle.